12 months, 12 squares, and lots of fun tapestry designs. The 2019 Tapestry Square Afghan Project is going to be a fun way to try out the technique and make a fun lapghan by December. 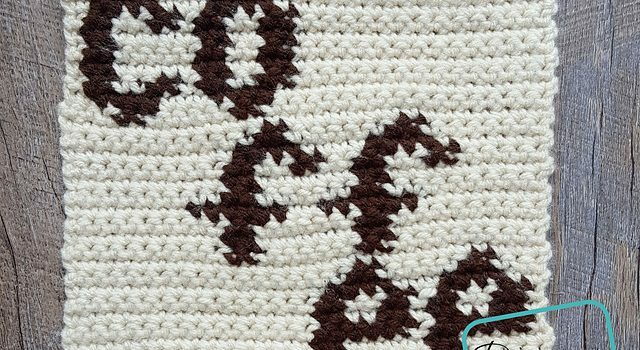 2019 will be the year of coffee and to kick it off, is the literal word, “Coffee.” This 8″ Tapestry Coffee Afghan Square by Divine Debris puts everything about this project right out there, it’s fun tapestry squares with a coffee theme! This Tapestry Crochet Rain Cloud Afghan Square Looks So Fun! 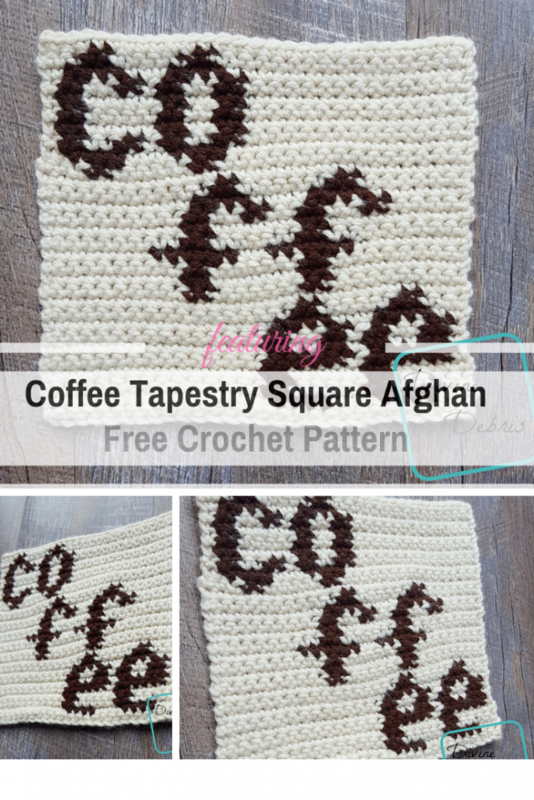 Get the pattern: Coffee Tapestry Square Afghan Free Crochet Pattern. Thanks to Amber for the article inspiration and featured image. [Free Pattern] This Granny’s Shining Star Square Is Fun To Make And Easy To Whip Up!